TEHRAN, Mar. 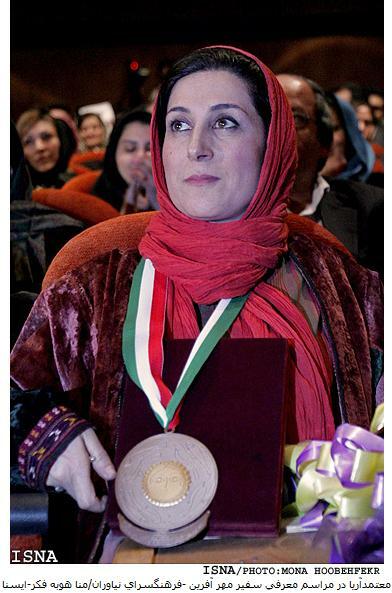 04 (Mehr News Agency) -- Iranian actress Fatemeh Motamed-Arya has been selected as the ambassador of the Mehrafarin Charity Society, during a ceremony on March 3 at the Niavaran Cultural Center. The ceremony commenced with a speech by the director of the society, Fatemeh Daneshvar and this was followed by the screening of a short documentary film about the society's activities. 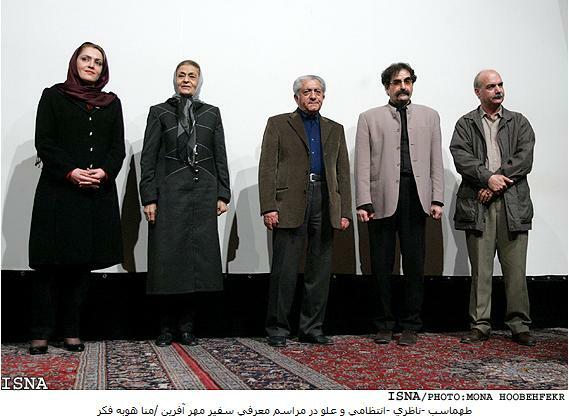 Actors Ezzatollah Entezami and Reza Kianian, directors Hassan Fathi and Majid Majidi, Actress Jaleh Olov, Iran's Actors' Guild director Iraj Tahmasb and Iran's Guild of Directors director Alireza Raiisian made short speeches during the course of which they announced their support for the selection of Motamed-Arya and also laid stress on helping the poor. 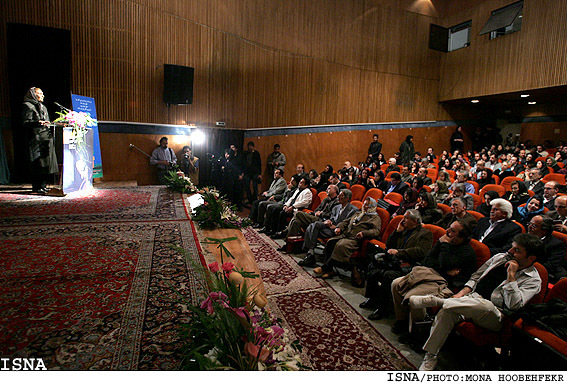 The message of Iranian actress and UNICEF Goodwill Ambassador Mahtab Keramati was read out at the ceremony. 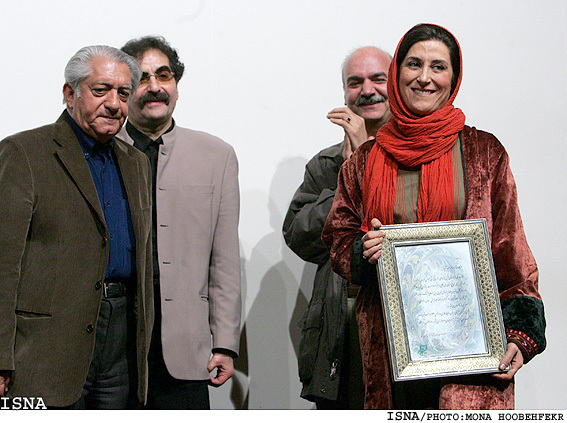 Entezami honored Motamed-Arya with the plaque of the House of Cinema and she was also presented with the Mehrafarin medal by Jaleh Olov. The next item on the program was a recital by Fatemeh Motamed-Arya of "Someone who is like no one" composed by the Iranian modern poet Forugh Farrokhzad (1935-1967). She expressed her hope that just as she manifests directors' ideas in front of the camera in cinema, she will also be able to execute people's good will in their desire to help the country's needy people. At the end of the ceremony scholar Bahaeddin Khorramshahi and Shahram Nazeri made short speeches. Nazeri sang some compositions based on the Masnavi in a live performance which was greatly appreciated by the audience. Motamed-Arya's parents, director of the Niavaran Cultural Center Asghar Mehr-Ayeen, actress Laleh Eskandari, director Amir Shahab Razavian, footballers Vahid Shamsaii and Mahmud Fekri and affluent citizens and industrialists were also amongst the participants.